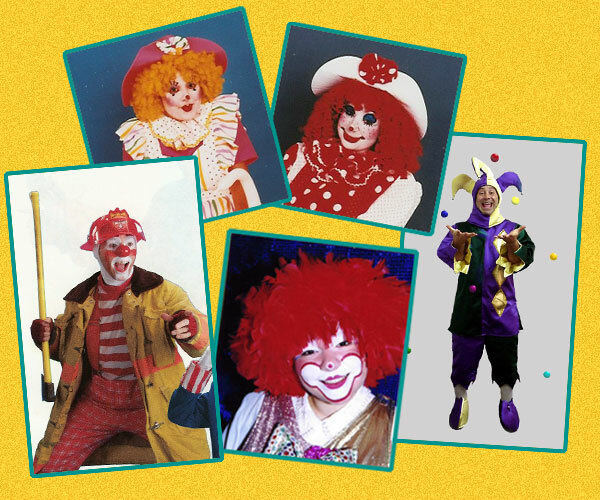 Our Wacky Clowns add Fun & Laughter to your event! Why do kids love our clowns so much? Our clowns use custom designed outfits and are trained to apply their makeup to create a warm & friendly appearance. Personality – Our clowns are outgoing & friendly, with plenty of charisma to command an audience. Skills – Our highly-trained clowns entertain children with a variety of skills, including: balloon sculptures, magic, games, face-painting, jokes, gags, and much more. Our clowns combine games, magic, face painting, and balloon sculptures as time allows to add a ton of fun to your party! Our clowns can add fun & ambiance to your event. Depending on the size of your event and your needs, they can pose for pictures, create balloon sculptures, paint faces, or combine these skills to entertain the kids.